But there are still gardeners out there, specially for the newbie gardeners that does not know how to start a garden just using containers. Here are some tips for your container garden. 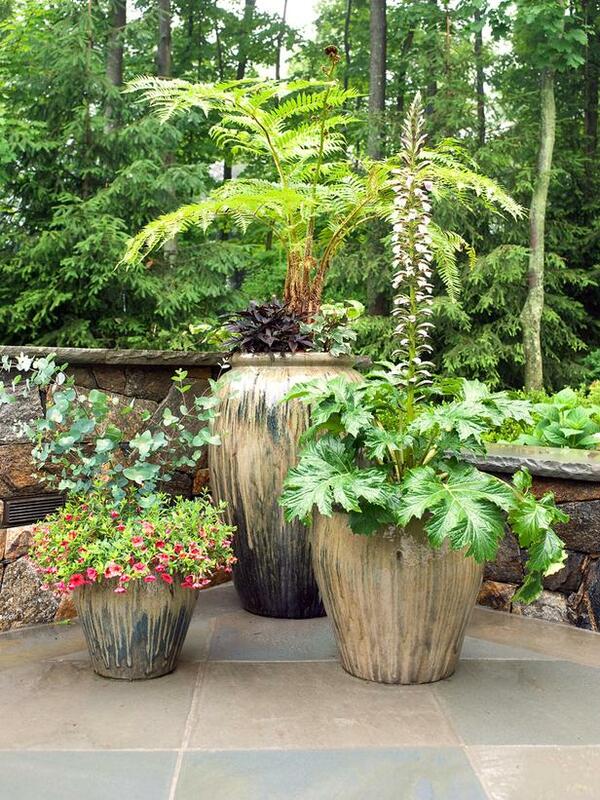 If you’re thinking to start with big pots or containers, see to it that space is important. Not that there is enough space for these big pots. You must remember, plants need to breath just like people, it a plant also feel being claustrophobic. Choose the container you will use that not only suits your garden but, you must choose containers that will add up beautifying your garden. 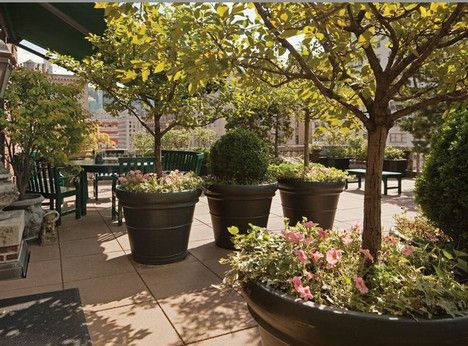 Uniformed color pots or decorative pots will contribute to make your garden look good. Make sure that the focal point of your garden will not only focus on your beautiful plants, but with the right decorative containers you will use. To save soil for big pots for eventually big plants or crops, try stuffing some the bottom of the container or pots with trash that are not easily destroyed by water and other plant elements. Simply pack these usable things in a plastic and tie it up. See to it that the plastic pack that you will use is durable so not it will not easily be destroyed once the root grow. Be sure that the material fillings you will put in the big pots is lightweight. In this way, moving the big pots is easier and weight will not be an issue. Putting gravel and rocks is not advisable because it will not improve with the pots drainage. 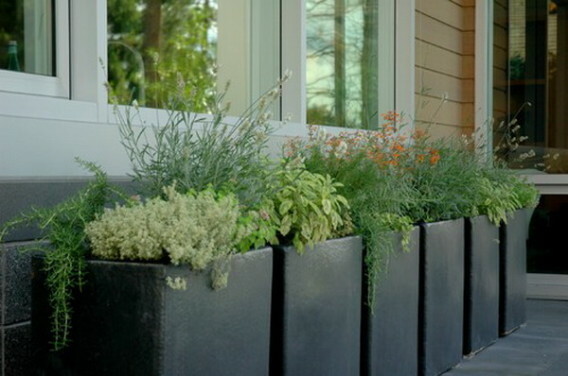 Choose plants that will suit up with large containers. Large plants-big containers, small plants-small pots. Ratio does play here. Palms, shrubs, banana tree, cannas are samples of big plants. 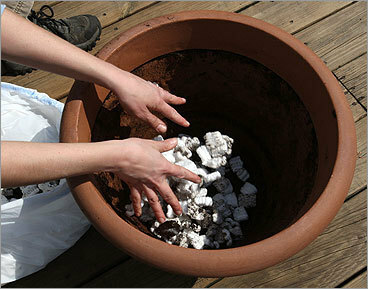 In choosing your potting soil, make sure that it is already mixed with fertilizer. But for some seasoned gardeners, they prefer their potting soils natural and mix it with an organic fertilizer. These gardeners only want to be sure that fertilizer are equally distributed in the soil. You must remember that, if you are planning to plant large plants, these plants are heavy feeders so you need to regularly fertilize your containers most preferably every other week. Using liquid fertilizers will be easier. 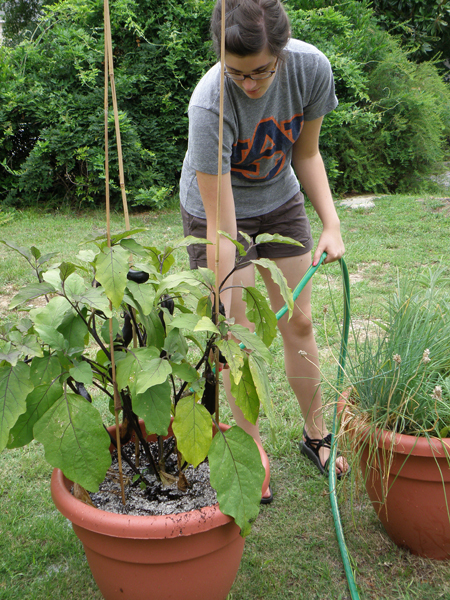 Make sure that your plants will get enough water. If you choose a plant that can grow big leaves, it can prevent the roots to get enough sunshine and water. See to it that if you water your plant, observe if water is seeping out from the holes at the bottom of you pot. It means that water reaches the plant roots and may have sip water.